Manalapan Prosthodontist, Dr. James Courey, has earned the service industry's coveted Angie's List Super Service Award, reflecting an exemplary year of service provided to members of the local services marketplace and consumer review site in 2014. "A great team is the key to providing our patients with the best restorations available," says Dr. James Courey, who practices with fellow prosthodontist, Dr. Joseph Zagami. "Our collaboration with the finest dental specialists and labs leads to innovation in solving the most complicated dental dilemmas. We are grateful to have the opportunity to care for Angie's List clients as well as our patients who are referred to our office by their general dentists and oral surgeons." "Only about 5 percent of the Dentists companies in the Tri-State Area have performed so consistently well enough to earn our Super Service Award," said Angie's List Founder Angie Hicks. "It"s a really high standard." 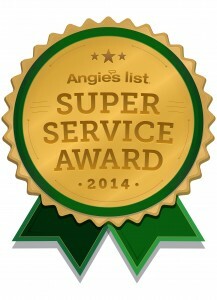 Angie's List Super Service Award 2014 winners have met strict eligibility requirements, which include an "A" rating in overall grade, recent grade, and review period grade; the company must be in good standing with Angie's List, pass a background check and abide by Angie's List operational guidelines. Dr. James Courey loves dentistry and believes you can never learn enough about something you love. He is an expert in the restoration and replacement of teeth using implants, crowns, bridges, veneers and dentures. After dental school, Dr. Courey completed four years of prosthodontic training at Albert Einstein College of Medicine/Montefiore Medical Center and an additional four years of advanced implant training at NYU. "Ongoing study of a variety of medical, dental and surgical disciplines gives me a wide range of diagnostic insight and diversified approaches to tooth replacement solutions," he says. "There are many resources, tools, and technology available to dental professionals today, however, knowing how and when to utilize them is what distinguishes a good dentist from a great dentist. This is what sets us apart."